You may have some coins worth big money sitting in your pocket right now. There are many reasonably valuable U.S. error coins and die varieties in circulation today. People overlook these coins because they have small distinguishing characteristics that are not easily recognizable, such as a modest doubling of the coin image, or minute differences in the size or spacing of the letters in the legends. Learn which of your pocket change coins is worth a significant premium over face value, and what to look for. Tip: Be sure to do your coin hunting with at least a 6x power magnifier, so you don't miss anything! This coin is exceedingly rare. The Secret Service confiscated the early specimens until the U.S. Mint admitted they were genuine. Counterfeits abound but usually have the wrong mint mark. In May 2014, a mother in Texas found one while going through rolls of coins. PCGS graded the coin AU-55, and it is valued at approximately $24,000. How to Detect: Look for a clear doubling of the entire obverse ("heads" side) except for the mint mark. If the mint mark is doubled, it is probably a case of strike doubling, rather than a doubled die, which isn't worth much. Mint marks were punched in the dies separately in 1969 after the doubled die itself had already been made. Approximate Value: Around $35,000 or more in AU-50 or better. 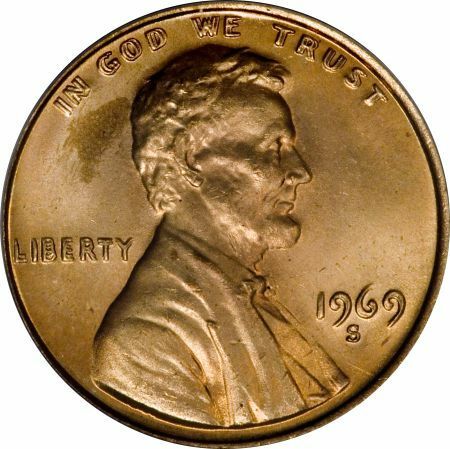 1970-S Lincoln Cent Doubled Die. Image Copyright: © 2015 James Bucki; All rights reserved. As with practically all true doubled die varieties, only one side of the coin shows doubling. If both sides exhibit doubling on any part of the coin, the coin probably exhibits strike doubling instead, and is worth little. How to Detect: A clear doubling of all obverse elements; look for a tiny gouge near the edge above the D in UNITED as a die marker. You will need at least a 6X magnifier to authenticate this variety. 2004-D Wisconsin Fifty State Quarter Extra Leaf. Image Copyright: © 2015 James Bucki; All rights reserved. How to Detect: There is some defect on the die that makes it appear as if there's an extra leaf on the lower left-hand side of the ear of corn on the reverse. The leaf is very prominent and a magnifying glass is not necessary to make this observation. Known in two varieties, the High Leaf, and the Low Leaf type. 1999 Lincoln Cent Wide AM Reverse. Image Copyright: © 2015 James Bucki; All rights reserved. At the point in time that the United States Mint made these coins, the coin dies sent to the individual branch mints would be punched with the proper mint mark letter for that branch before shipping. This variety is believed to be caused because one or more non-punched dies were used to make coins. The letter "P" was being used for coins made at the Philadelphia facility, "D" for Denver minted coins, and "S" on dimes minted in San Francisco. Therefore, all coins should have a mintmark. Since this coin has no mint mark, it is moderately valuable. Ever since the first Presidential Dollar (the Washington Dollar issued in 2007), there have been errors associated with the lettering on the edge of these coins. The edge lettering is applied to the coin after the coin is struck. In some cases, it is missing entirely. In others, the edge lettering has been placed there multiple times. How to Detect: Look at the edge. The inscription should appear fully encased all around the circumference of the coin. Missing or doubled inscriptions are rare and valuable. 1995 Lincoln Cent Doubled Die Obverse. Image Copyright: © 2015 James Bucki; All rights reserved. Approximate Value: About $20 to $40 in uncirculated condition. 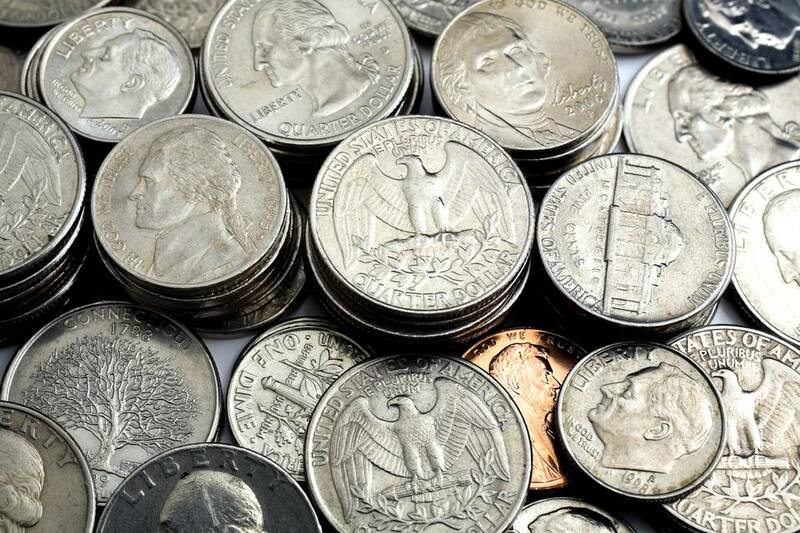 As the economy has worsened, people who have been hoarding rolls of State Quarters have been spending them into circulation. If you can put together whole rolls uncirculated quarters of certain in-demand states, you can get as much as $30 per roll for them.